Hi and welcome to My Go-Go Life, I am Kim otherwise known as Go-Go Kim. It was is a nickname that was given to me by a sweet little boy as a result of a misunderstanding and has stuck for almost 17 years. I have four children spanning over three decades who have taught me everything I need to know about what makes life important... give of yourself regardless of sleep deprivation, look for the little things in life to bring you great joy, loving just for the sake of loving is sometimes all that is really needed, hot chocolate cannot be consumed without a HUGE amount of whipped cream and when in doubt don't ask Dad, he will always tell you the truth! The man that was crazy enough to take my "I do" seriously is my in house engineer. He is the Mathematics to my English. My OUT there is balanced by his ultra calm. The house could be burning down and he would be calmly going through paperwork to make sure we had all the proper stuff. He was a Naval Aviator and flight instructor so I guess he had some training in chill. He is amazing at putting up with all of my sewing ( that has been known to take over every room in the house) and even knows who I am talking about when I bring up names like Pat Sloan ( he has nicknamed her "The Queen"). It is nice to know he can not only keep up with what I am saying but actually remembers some of it. My sewing adventure started with my youngest son. He is the only one of the children that will grow up thinking Mom has always sewn. I have only been sewing since he was about six months old. I am completely self taught from books and looking online. Although my grandmother was a wonderful seamstress and made several outfits for me and my sister, I never learned how to sew from her. 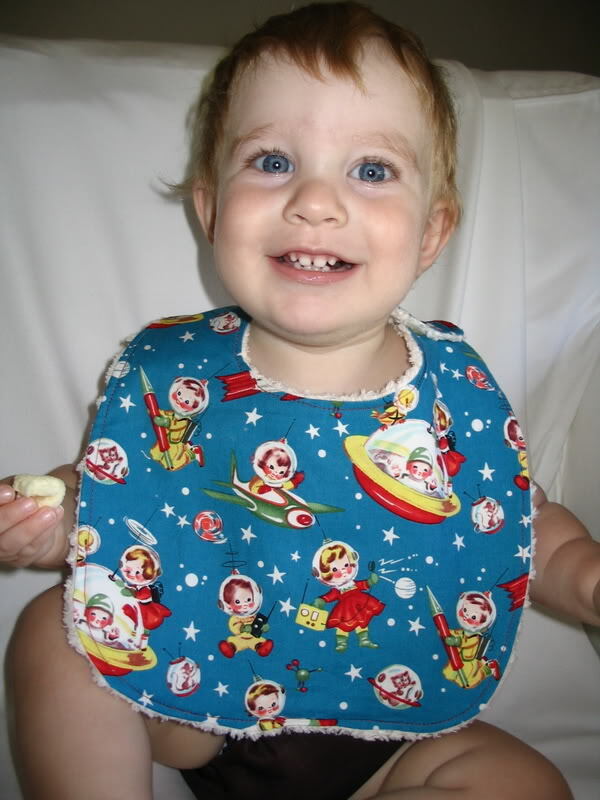 I do remember going to the fabric store with her and looking through the pattern catalogs, it was like a dream world to me but not understanding how to read patterns, I was completely intimidated and still am at times. The reason I learned to sew...this little guy! I LOVE him so much! 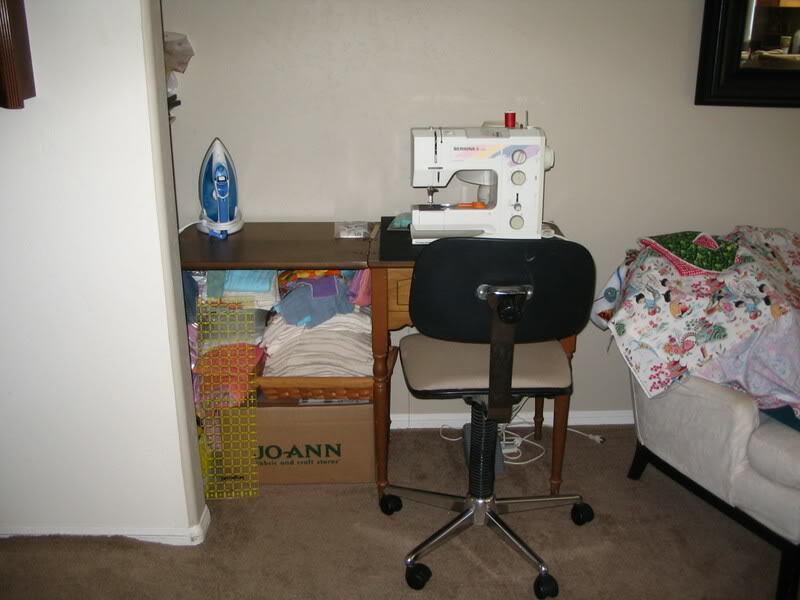 My first sewing room in California...my first Bernina! At this point in my sewing life I had never even considered a blog. I just sewed and bought fabric and sewed some more! It was blissful!!!! This blog was set up to share with my sewing friends and to get all of my sewing off of Facebook since I am sure I was driving my friends there crazy. I may have been badgered by Sara and Amy a little too ;o) There was also wanting to share my experiences while learning how to sew. Everyone has a different learning style. Mine is very visual...very VERY visual. The tutorials I post will always include many photos to show every possible angle of how I did something. I am horrible at reading patterns but through trial and sometimes error I do usually figure it out or find how I can do it my way. My teaching style will hopefully reach people wanting to learn how to sew but are not crazy about lots of text and unclear visuals and also sewers that just love to sew and like my projects! I want everyone to just take that first stitch! I believe that if you take the first one...you will be HOOKED! 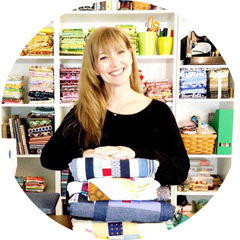 Not only do I LOVE sewing, I also worked for Aurifil, USA as the Social Media Content Coordinator, Quilt Guild Donation Coordinator and Creative Director from 2012-2016. The tools in my sewing room are very important to me! Everything I use, I have been using for at least six years and know they work! My machine of choice is my Bernina 440QE. This machine has everything I need and more! The Swiss made machine is a powerhouse that will produce perfect stitches without causing headaches. The BSR is the coolest thing I have ever used! It makes free motion quilting so much easier with beautiful regulated stitches. There are a crazy amount of "pretty" stitches on this machine! I have played with so many of them from topstitches to paper cards. They are really fun! I use Aurifil thread exclusively, not only for obvious reasons...lol...I really do love this thread! The most popular is the 50wt. The 50wt is the orange spool and it perfect for piecing! It is lovely for quilting when you want your stitches to melt into the fabric! LOVE the 50wt! The 40wt , the green spool, is my hands down favourite for garments, bags, projects with high use or needle turned appliqué. It is also a beautiful quilting weight when you want your quilting to have a little more pop. The 28wt, the gray spool, is the unsung hero of the Aurifil threads! It has a lovely weight and the feel on projects wether quilting or topstitching on garments or bags it shows beautifully! The 12wt, on the red spool, the perfect choice for hand appliqué, crazy quilting, or even machine quilting! If you use this weight for quilting on your machine, choose a needle with a larger eye and use a 50wt or 40wt in your bobbin. Depending on your machine, you may need to play tension games. I hope you find everything you are looking for here on my blog!